A Spoke in the Winged Wheel? On a historic night for one of hockey's greatest all-time defencemen, Justin Abdelkader once again played his part in a Detroit Red Wings victory by doing what he does best. Nicklas Lidstrom's first career NHL hat trick in Wednesday's 5-2 home victory over the St. Louis Blues made the Detroit captain just the fourth Red Wings defencemen to ever record a hat-trick. The impressive performance also made Lidstrom, 40, the oldest NHL defenceman to score a hat-trick. While Lidstrom was busy achieving a personal milestone, Abdelkader, the native of Muskegon, Michigan, was also hard at work, nullifying chances in his own end, providing solid forechecking and utilizing his strong physical play to good effect. Although his own performance didn't garner the same front-page attention Lidstrom was afforded, it was yet another example of what makes Abdelkader a reliable and respected member of the Wings. But it's by no means out of character for Abdelkader to be an impact player. On April 7, 2007 he scored the game-winning goal in the 2007 NCAA Championship Game against Boston College, netting the NCAA Division 1 National Championship for Michigan State University and earning Abdelkader the Frozen Four Most Outstanding Player award. He recorded the latest game-winning regulation goal ever scored in an NCAA Frozen Four championship game when he scored with just 18.9 seconds left. Just over one year later, Abdelkader, who scored 23 goals for the Grand Rapids Griffins during the 2008-09 season and was one of the team's best offensive players in the playoffs, was brought up to the Red Wings for Game 5 of their Western Conference semi-finals series against the Anaheim Ducks. 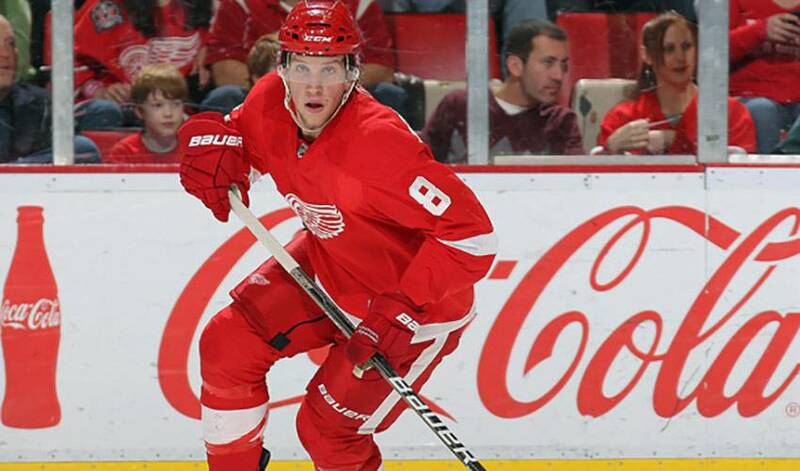 Abdelkader notched his first career point that game courtesy of an assist to Johan Franzen. He scored his first career NHL goal on May 30, 2009 in Game 1 of the 2009 Stanley Cup Finals against the Pittsburgh Penguins. His second tally came nearly 24 hours later in the second game of the series. Abdelkader became the first rookie to score a goal in consecutive finals games since Minnesota's Dino Ciccarelli did it in 1981. But clutch goals and timely assists aren't always an accurate measure of Abdelkader's worth. For Abdelkader, he's at his most effective when he isn't trying to alter his game. Playing on a perennial Cup contender, he admits, is a great feeling. And though he sees less ice time and doesn't share the same notoriety as some of his teammates, Abdelkader's blue-collar efforts don't go unnoticed. And what about Abdelkader taking a shot at emulating Lidstrom's recent feat?